Contact: Travel photography from around the world, including Cuba, Ecuador, Egypt, Germany, Greece, Guatemala, India, Italy, Japan, Mexico, Morroco, Paraguay, Siberia, Taiwan, Tanzania, and the United States. Rural mailboxes in a row in USA, We love to get mail! Tell Google! 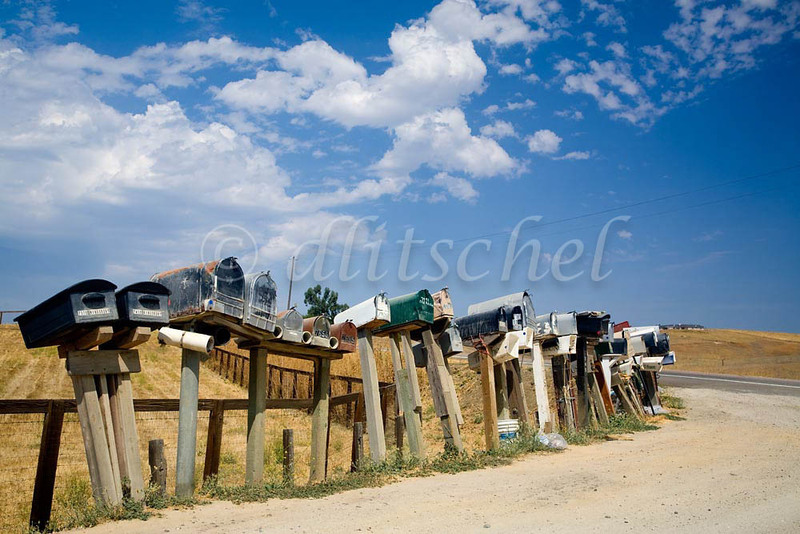 Rural mailboxes are lined up in a row in Central California. To purchase this image, please go to my stock agency click here. For further information on images by David Litschel he can be contacted at the following telephone number or email address.